Popularity - 543 views, 1.9 views per day, 281 days on eBay. Super high amount of views. 0 sold, 1 available. 543 views, 1.9 views per day, 281 days on eBay. Super high amount of views. 0 sold, 1 available. 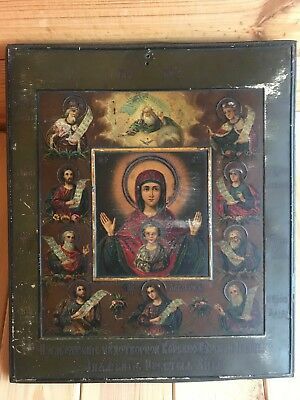 EXQUISITE LARGE ANTIQUE RUSSIAN ICON MOTHER OF GOD OUR LADY OF KAZAN 18th CENT. Russian Orthodox bronze icon Saint Nephon. Enameled! Russian Orthodox bronze icon The Resurrection.The Descent into Hell.. Enameled! 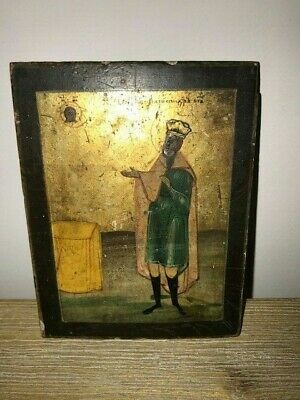 Antique Russian Orthodox Icon. Our Lady of Kazan, Mother of God 19 с. 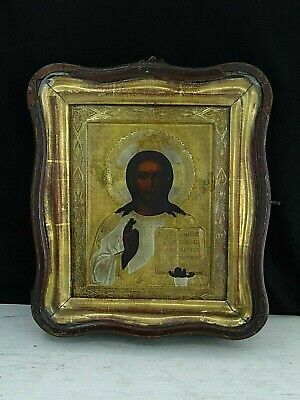 Antique 19c Russian Orthodox Hand Painted Wood Icon "Fatherland" RAR!!! Antique 19c Russian Orthodox Print on Metall Wood Icon " Signs Kursk root"
Antique 19c Russian Orthodox Hand Painted Wood Icon " the Shroud"